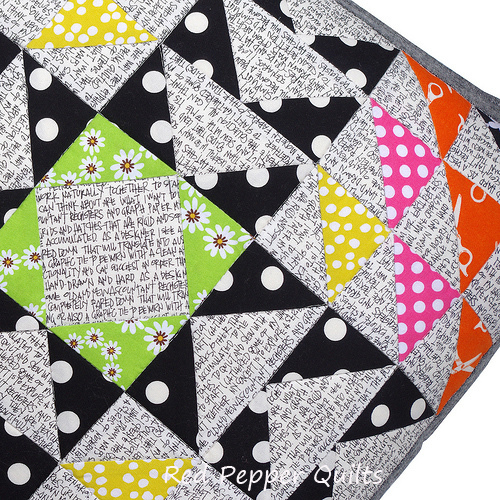 Red Pepper Quilts: SuperNova Pillow! Congratulations Monika - I know you'll enjoy these triangle papers. Monika has been contacted by email. With thanks to the Fat Quarter Shop for the giveaway. Thank you so much for joining in, Rita! It's a fabulous block, and a great pillow! I'm working up the nerve to tackle this block, and it certainly makes a great pillow! This is one gorgeous pillow! I love the colors with the black & white! That is a seriously fun pillow! Well you certainly don't waist your time.Great job it looks beautiful. This lovely block looks even more amazing as a pillow! Love the block in the pillow...Congrats to the winner. Indeed - I will definitly enjoy this triangle paper!! Thank you, Rita for this chance :) and of course FatQuarterShop!! Your pillow is gorgeous!! I will try this pattern as soon as the paper is here! 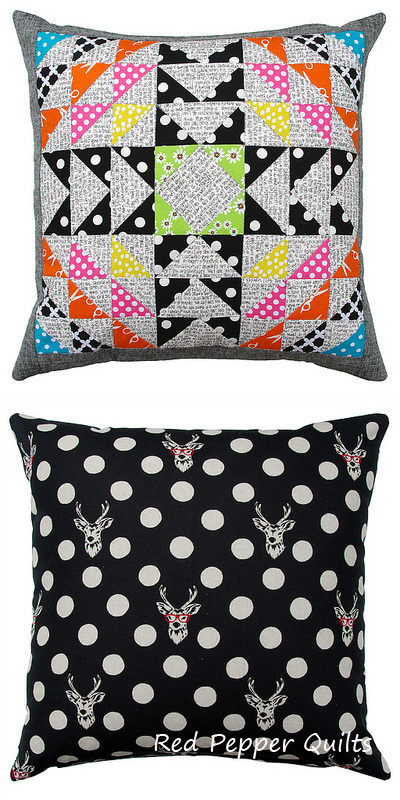 Love the pillow ~ the triangle paper is something I didn't know about (well, maybe I knew about it but forgot). I tend to struggle with making flying geese and avoid it as much as possible ~ I'm going to have to get some and give it a whirl! What a fantastic pillow! Love it! Lovely pillow! So pretty! Love the text print used for bg, makes such a cool effect! My blocks are going to be turned into pillow too =) I really love your super nova star! Supernova pillow is awesome! Congrats to Monika winning the HST papers!